Meet Roberta. She is the 27 year old matriarch of the St. Louis Zoo Black and White Colobus colony and last year became the oldest mother of her species to give birth in the Association of Zoos and Aquariums (AZA). Her newborn is healthy and being well taken care for by Roberta with some additional attention from Roberta’s brood including 3-year-old son Mosi and 1 1/2 year old daughter Pili. Fellow troop female troop members Kivuli and Cecilia has also shown great interest in the newborn. 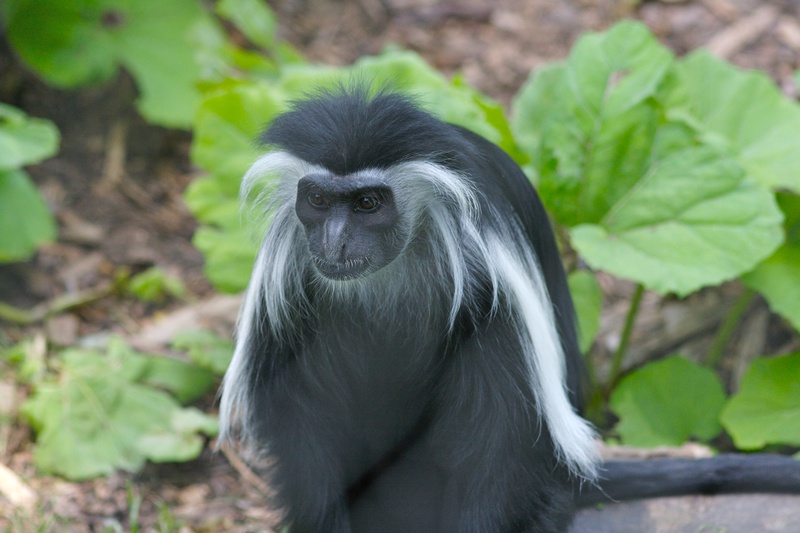 Black and White Colobus monkeys are considered threatened due to diminishing natural wooded habitat in central Africa. Every new addition brings hope for the species. Read more about Roberta and baby at The Saint Louis Zoo.